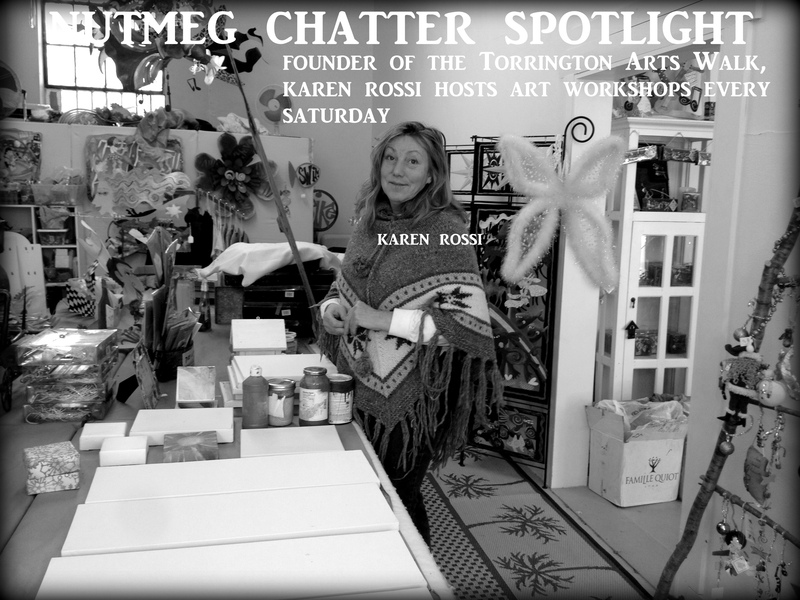 Karen Rossi is the artist who founded the Torrington Arts Walk with sculptor Dennis Bialek and Dawn Hill of Dawn Hill Designs. Known for her whimsical original metal sculptures, her studio in the heart of downtown Torrington at 27 East Main Street has something for everyone in every price range. On Saturdays, Karen Rossi hosts new workshops every week where you can create your own personal artwork in a creative environment. There are three more workshop opportunities for February! For more information she can found at Karen Rossi Studios on facebook.